I’m completely addicted to this album! A pure trip to the 80’s in all aspects! Great work from Kavinsky. A true homage to Sega’s arcade and console hit Outrun! Love the Testarossa! My last post worked like a kind of a trigger. Remembering all those cool toys and shows we had when we’re kids really brought back some strong memories of how much I loved some of that stuff. From all those toys / shows the one I was most fond of was definitely Masters of the Universe. To this day I still remember how I was introduced to He-Man and his buddies, a TV commercial showing the first figures, vehicles and what was probably the greatest playset ever made: Castle Grayskull. The commercial was very cool, with a strong voice behind singing “He-Man, He-Man” and kids playing in a huge diorama with all the figures… how could a kid not be instantly hooked??? My initial reaction was “WANT!! !” and there I went to ask my parents to buy me the entire collection… this was how advertising worked the kids on those days 😀 Curious, my parents went to the usual toy shop and found out that each figure cost, back in 1982, 2500$00 (in escudos our old currency), €12,50 on today’s “money”! WOW, talk about huge money back on those days! Guess that He-Man and company was out of the question for me, my parents told me thay couldn’t buy toys with those prices… I was sad, but it didn’t matter, I was a smart kid and understood this things, Christmas was almost there and I knew the usual Lego toys were there for me (yes, I loved Lego as well). So, Christmas came, and by then I knew that I was going to get a Lego Space Station, I saw the big wrapped box stored on my parent’s dresser, I was already making plans on the ships I was going to build to play with it… I just didn’t know how wrong I was. At midnight we started to open presents, I went to the big box, my Lego Space Station, which was really Castle Grayskull! What a RUSH! My parents got me the most awesome toy of that year, I was nearly exploding with joy, my reaction was funny, still it wasn’t near the Nintendo 64 kid’s reaction. There was a reason for this. My parents bought all the toys from a Spanish shop that sold wayyyy much cheaper than it was sold in Portugal, but He-Man and Skeletor were sold out everywhere! That’s how big this line was back then! Years passed and I got a few more figures, real ones this time, but naturally I grew up and stopped playing with them, still I had them all stored in perfect conditions. 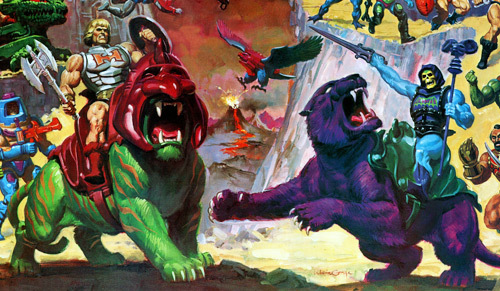 Sadly, my mother gave all the Masters of the Universe toys to my cousins… I only manage to save He-Man and Battle Cat which I have until this day. 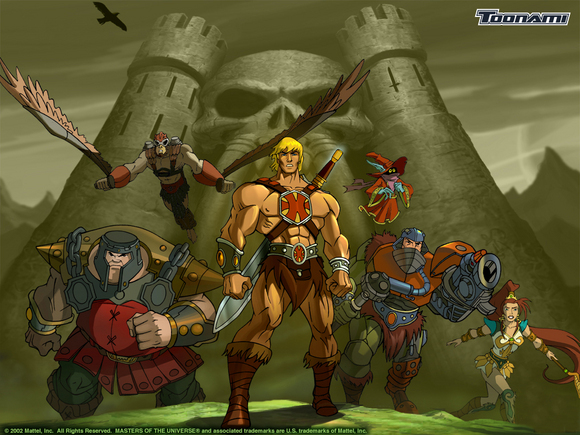 After the original MOTU line, two more followed, New Adventures He-Man, that changed all the universe of the line, He-Man went to the future followed by Skeletor, new heroes, new foes, crappy figures. In 2002 Mattel tried to resurrect the brand with a new cartoon and line of figures, this time more anime styled. The cartoon show was good, and they followed the classic line, including all the original characters and new ones, all with a new design. The line was well accepted by fans but not much by the real target audience, kids, and it lasted until 2007. Back in October 2009 I was surfing the web and some how (can’t remember) I came across with Mattel’s Masters of Universe Classics line. A new line of figures had been started in 2008, this time only available through Mattel’s collector website – Mattycollector.com. Masters of the Universe Classics, MOTUC as it’s known among the fans and collectors, is a line for adult collectors, featuring figures from the original Masters of the Universe line, New Adventures He-Man and the 200x line. It’s an amazing line, the figures are sculpted by the Four Horsemen Studios, the same as the 200X line, but so far, no action features are included in the figures. They are highly posable, with 20 to 25 points of articulation and have very good paint jobs and extremely detailed. I was very disappointed with one thing. I could get no figure whatsoever from Mattel’s site. You see, this figures are sold mainly through an annual subscription, which is only available to buy from July to August or when the figures are released, generally at the 15th of each month. This is a highly sought line, by collectors and scalpers alike, which means that if you want a figure for a low price, you have to get it from Mattel on the day it’s released. If you miss this window of opportunity, eBay is your destination. 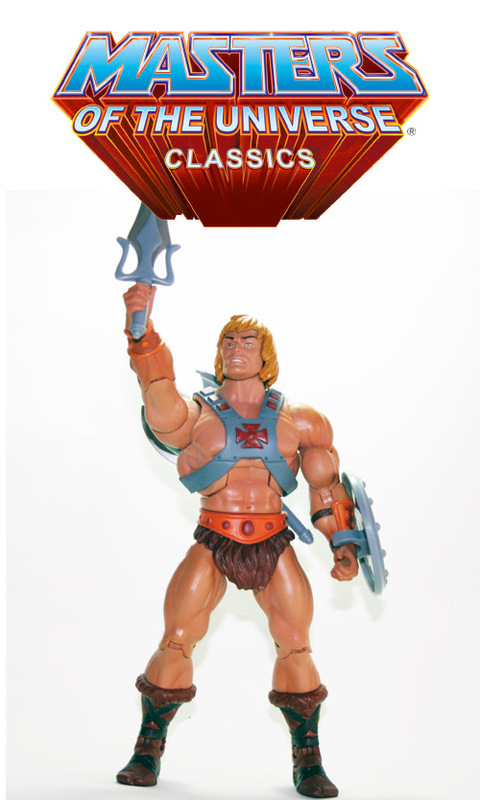 When I visited Mattycollector.com they had He-Man announced to be re-released on November, along with two new other figures. I booked the day on my calendar and in November I ordered He-Man… and learned that in December Skeletor was being re-released… and booked the day and got the sucker. And that’s it. I said to my self that I was going to stop there. I just need the main guys, the good and the bad. This was until 31st December, when He-Man’s figure got delivered (yes, Matty’s packages take forever to get here). Wow… The figure was even more amazing that I thought it was, bringing back that 80’s feeling I was so fond of . 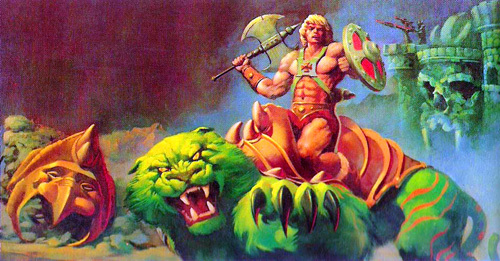 That was the He-Man I played with as a kid, adapted to the 21th century action figure standards. In January, Skeletor came, and I was even more amazed. The figure is probably one of the best of the line. I decided to collect the line, and by now I already have eight figures, all amazing and that I will review here in the next days. This line has the best action figures for adults available out there, and if you were / are a fan of the old Masters of the Universe line, you need / you have / you owe it to yourself one of this figures.